DALLAS — Over a half century after Mickey Mantle established the World Series home run record with his 17th and 18th in the 1964 World Series, the jersey he wore as he launched those long balls set a record of its own selling at $1,320,000—the highest price ever paid at auction for a Mantle game jersey. The price shatters the standing Mantle record of $486,000 set by Heritage Auctions just 18 months ago. 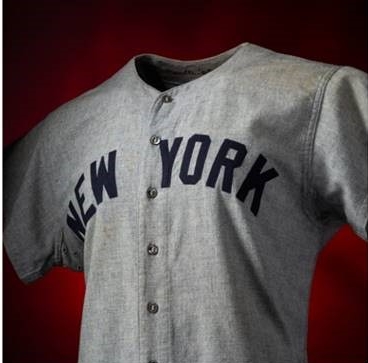 The result marks just the fourth seven-figure sale of a game-worn jersey in sports collectibles auction history. “That’s the power of Platinum Night,” explained Chris Ivy, director of sports auctions for Heritage, referring to the high-value, low-volume format of the August 18-19 Summer Sports Collectibles Auction. The record-shattering price led the $8.6 million auction and collectors were stunned by the final price, according to Ivy. A full report on the auction will appear in a future issue.